Just a quick update as I pack for my trip to New Orleans in the morning for the Romantic Times Booklovers Convention 2014. Our book is now live on Amazon! Again, I can’t express how thrilled I am to be a part of this project and see how well it does over the next few months. The book came about as a charity project to benefit cemetery restoration in New Orleans. 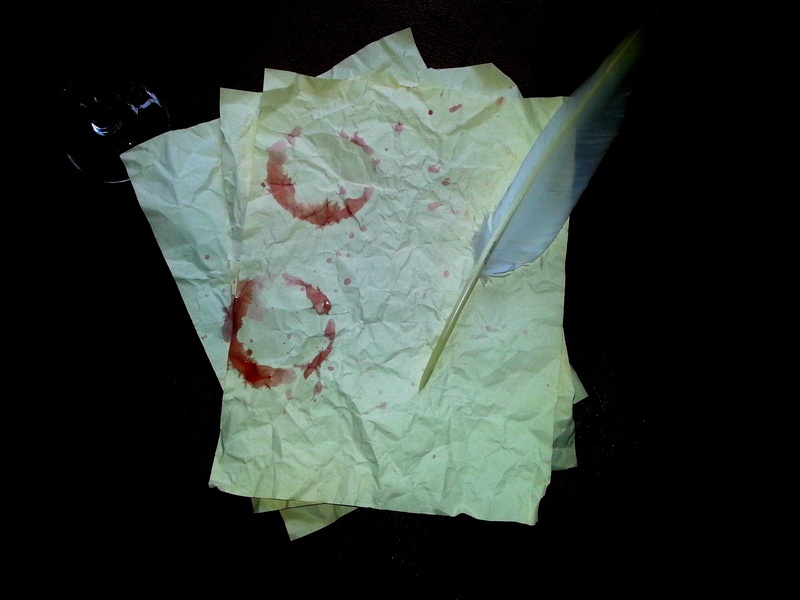 I encourage readers to check out these talented writers. Different genres are represented here from horror suspense, steampunk, romance, erotica and literary fiction. There’s a little bit for everyone. Enjoy and I hope to have a few updates here and there from the convention! Every time an exciting event is just around the corner, my brain likes to pick out the oddest songs in its internal jukebox to mark the occasion. One week from now I will be traveling to New Orleans, LA to the Romantic Times Booklovers Convention, and to celebrate the occasion, my brain has been on constant loop of Europe’s “The Final Countdown” all morning long. Seriously. ALL. MORNING. LONG. But the excitement is for more than just the convention. Next Tuesday also marks the publication of the anthology I contributed to earlier this year. 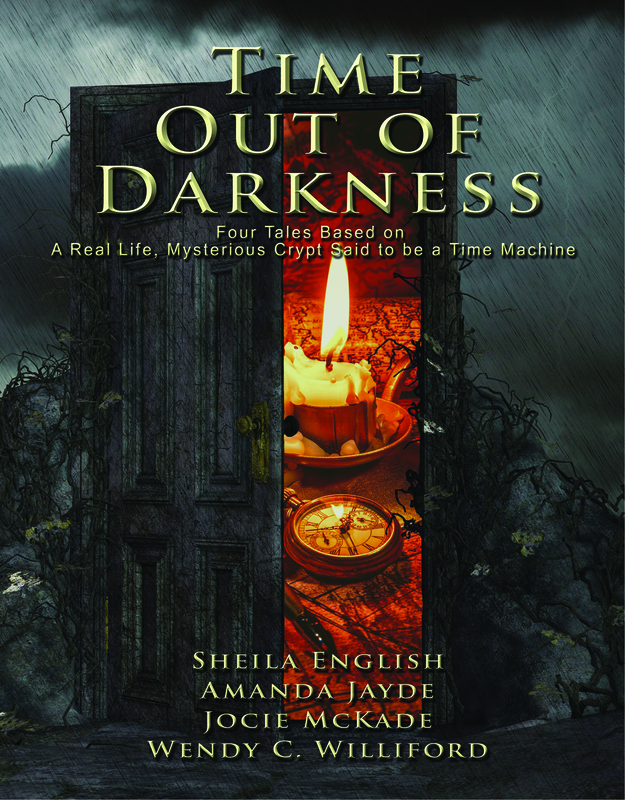 TIME OUT OF DARKNESS is four stories inspired by The Brompton Cemetery Time Machine, a mausoleum designed and built between 1848 and 1853 in Brompton Cemetery in the Kensington borough of London, England. While the mausoleum was certainly an odd structure in its day, with its imposing size, polished granite and hieroglyphics on all four sides, it’s the only structure in Brompton that doesn’t have its design plans on file. That, along with the fact the structure has a key which no one possesses, has led to its legend over the last 150 years that its designers, Egyptologist Joseph Bonomi and torpedo inventor, Samuel Warner, may perhaps have invented a time machine instead of the mausoleum for which they were commissioned. (Google it for more exciting theories). Commissioned by a mistress to a famous MP and her two unmarried daughters, some theorist believe the builders used them for their money and gullibility, and what we’re left with today is a time machine in plain sight. And thus, we have the inspiration for our stories. The anthology, co-authored by Sheila English, Amanda Jayde, Jocie McKade and yours truly, Wendy C. Williford, combines all of our talents of writing steampunk, romance and psychological thrillers and paranormal adventure in one nice little package. Not only does the anthology display our talents of our genres, it will also benefit cemetery restoration in New Orleans. I’m super excited to be promoting this next week at the convention and sitting in at the Romantic Times Book Fair! The book will be initially released on Kindle on May 13th, 2014, with paperback editions soon to follow. My contribution entitled “The Bitter Taste of Time,” is about an elderly woman still mourning the death of a son who died at the Somme who encounters a man with a fascinating tale of time travel. As he weaves a tale over tea, she allows herself to believe the impossible and contemplates giving up everything she has for one last moment with the son she so dearly loved. The ending will surprise you. Hell, it surprised me when I decided to take it the direction that I took it in. It’s definitely horror/thriller and a nice scary note to end the book on, especially considering half the stories take place in New Orleans. More updates will come next week on its release day as well as at the convention. Thanks to everyone who checks it out and helps to spread the word. Until next week, cheers and Sláinte!